If you’d describe yourself as edgy and your day job sees you heading to a studio rather than an office, a mohawk may be the perfect hairstyle for you. Long favoured by punks and rockers, this daring hairdo is bold and unique. 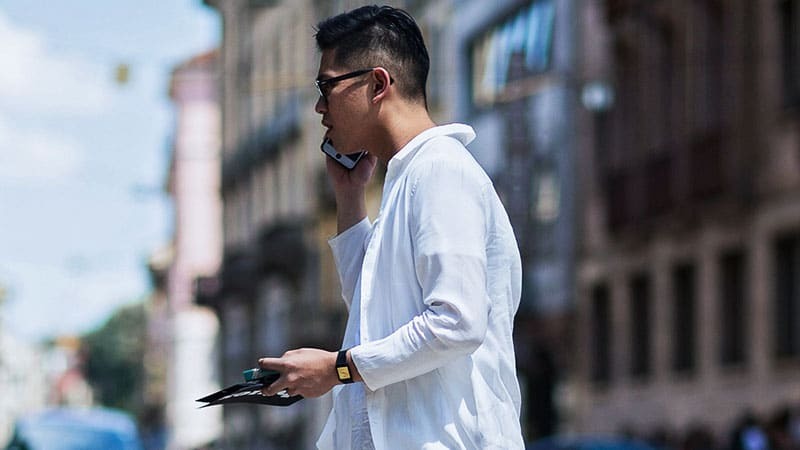 Although the style has come a long way since its inception, it’s still a fantastic choice for gents looking to do things a little differently than the masses. 1 What is a Mohawk? 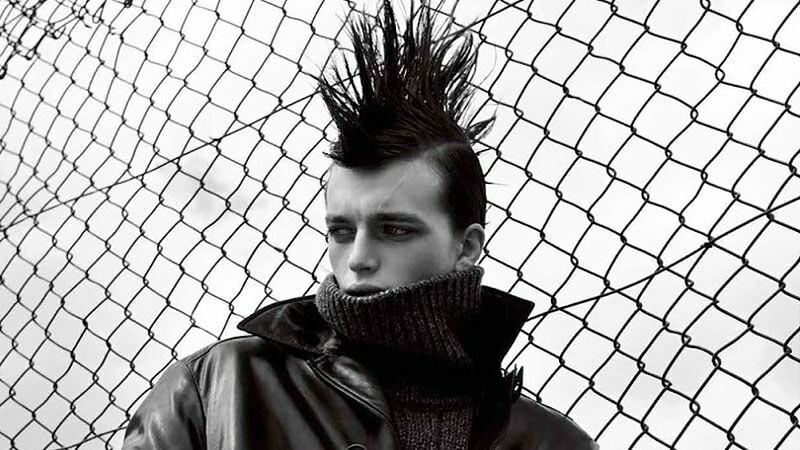 A mohawk is a punk-inspired hairstyle that’s often preferred by gents with a rebellious attitude. Its unique appearance features a dramatic contrast between two sections of hair of different lengths. 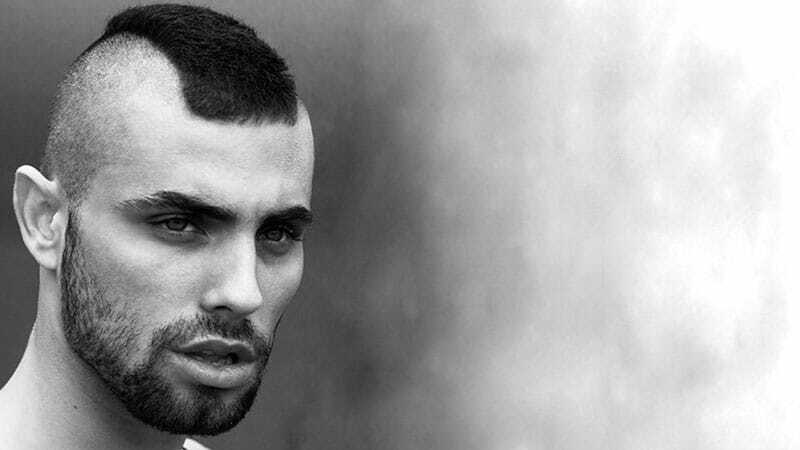 The sides of a mohawk are shaved and very short while a strip, running from the hairline to the back of the head is left long on top. 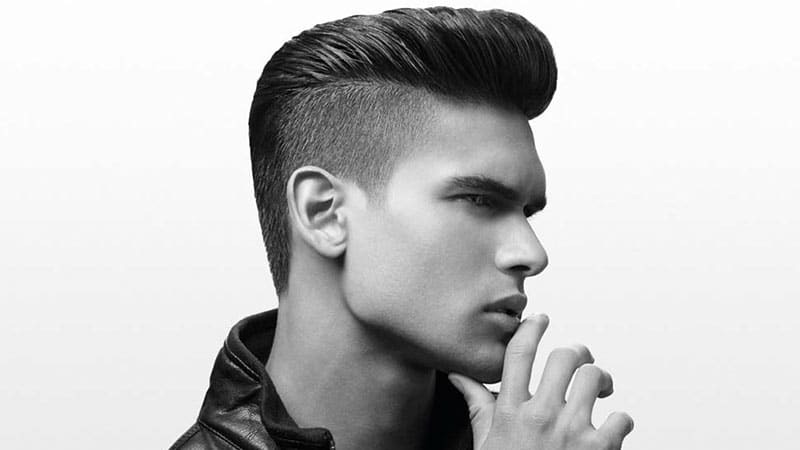 While this section of hair is often spiked up for an eye-catching appearance, it can be styled in many ways. 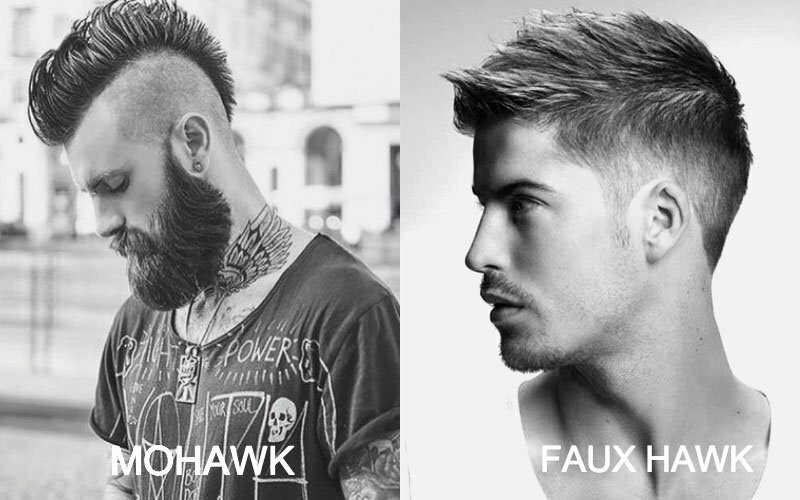 Faux hawks were designed to recreate the style of the mohawk but with less intensity and shock factor. Although this less dramatic take still has a contrast between short sides and a long top, it’s a much more subtle difference than that of an actual mohawk. The top is usually shorter than that of mohawks and gently fades into the clipped sides. 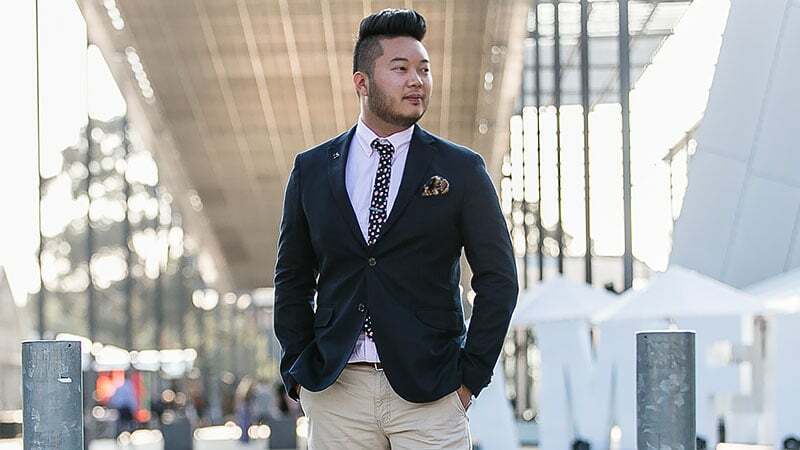 While the style is a great option for gents who must conform to office dress standards or aren’t quite ready for a full mohawk, it doesn’t have the same incredible impact as the real deal. This stylish mohawk is longest in the middle of the forehead at the hairline. From that point, it tapers and fades into shaved sides and back. 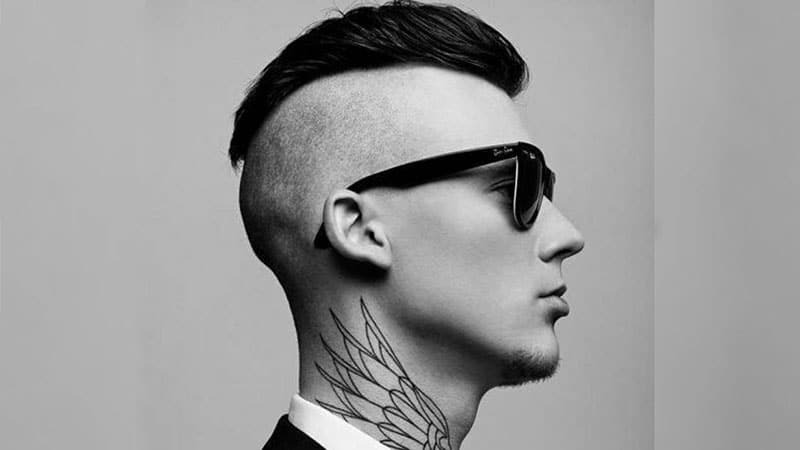 A black mohawk creates the most striking and edgy appearance against shin-shaved sides. With a contrast this bold, your hair doesn’t even need to be long to create a standout style. Gents of all ages can rock a mohawk, particularly when it’s a sophisticated version, such as this one. 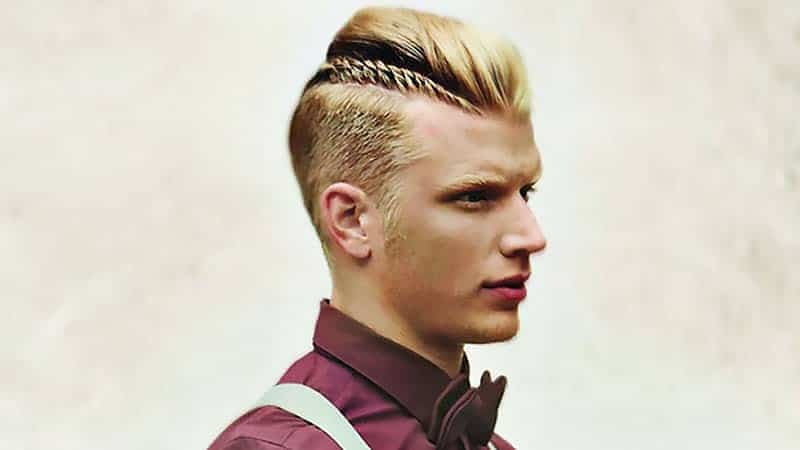 This stylish, modern mohawk includes a braid. 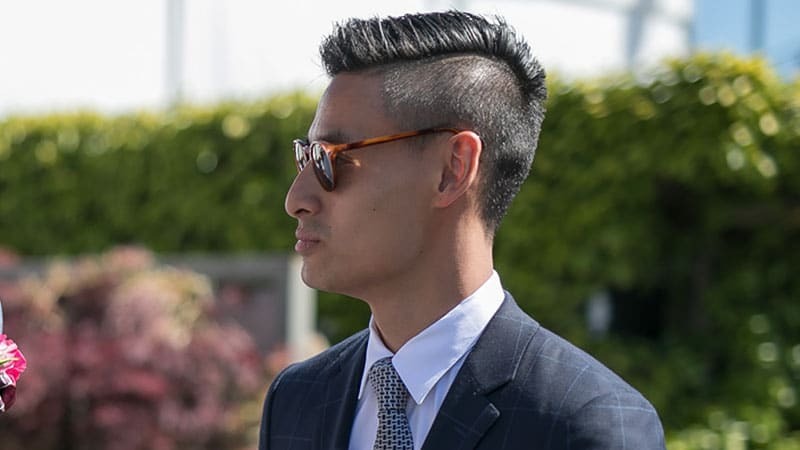 Used to separate the long hair on top from the shaved side, it adds a unique and attention-grabbing feature to this sleek and sophisticated style. Although mohawks are associated with punks and rebels, it is possible to create a classy mohawk. 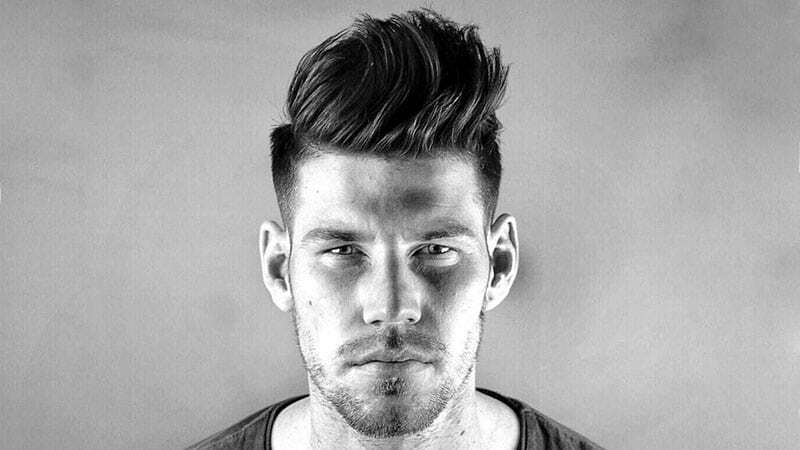 All it takes is some simple styling to neatly secure the top section of hair back while maintaining some texture. 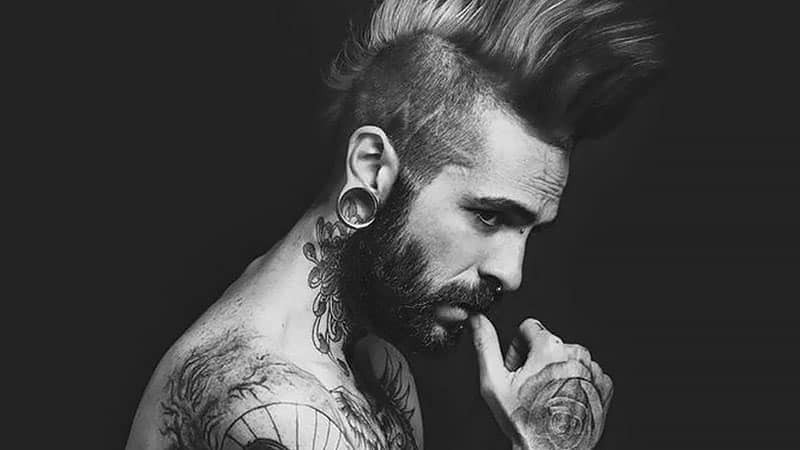 While thin hair can often appear limp in a mohawk style, thick hair looks bold and can easily be sculpted into the right shape. 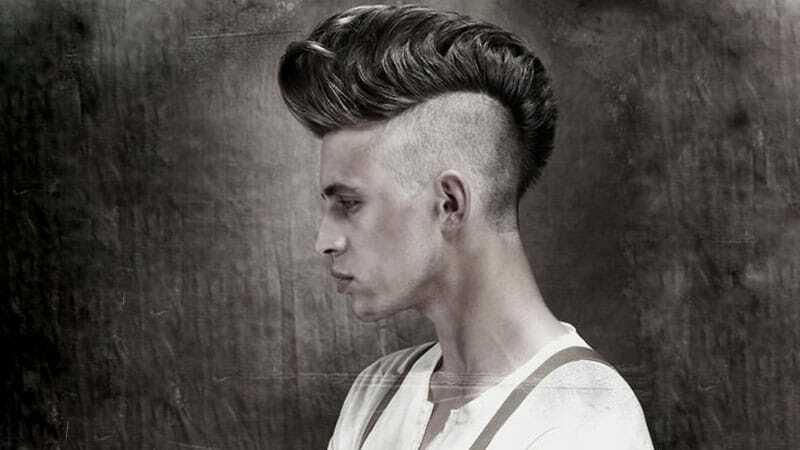 Although most of the mohawks of today tend to be more subdued, there’s always room for a big and bold style. Just be sure to use the right products to keep hair up without making your mohawk look rock hard or crunchy. 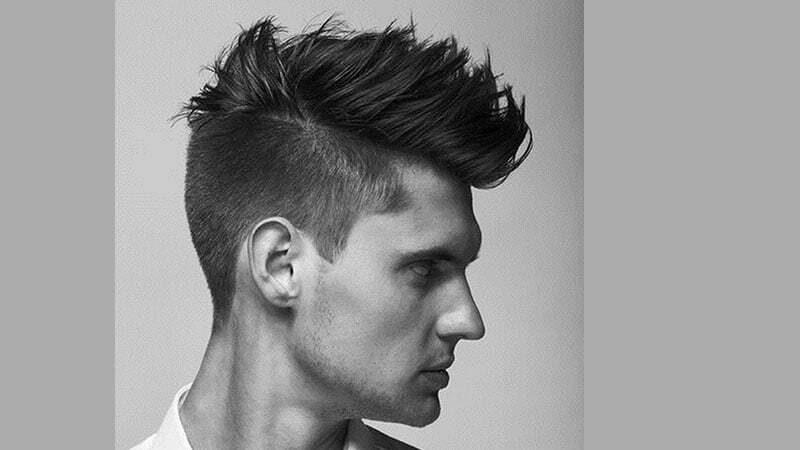 This tall and wide mohawk creates a strong contrast without resorting to ultra-short, shaved sides. This stylish mohawk features a hard part and dramatic fade. Although the fade starts just above the temple, it quickly shortens into a skin shave halfway down the side of the head. A high fade is a great way to soften and modernise the appearance of a mohawk. 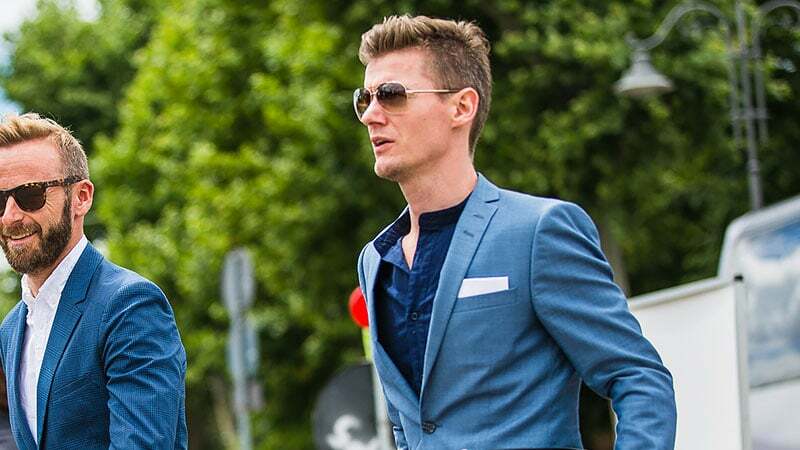 Although the look is still unique and exciting, its intensity is reduced to make the style easier to wear. 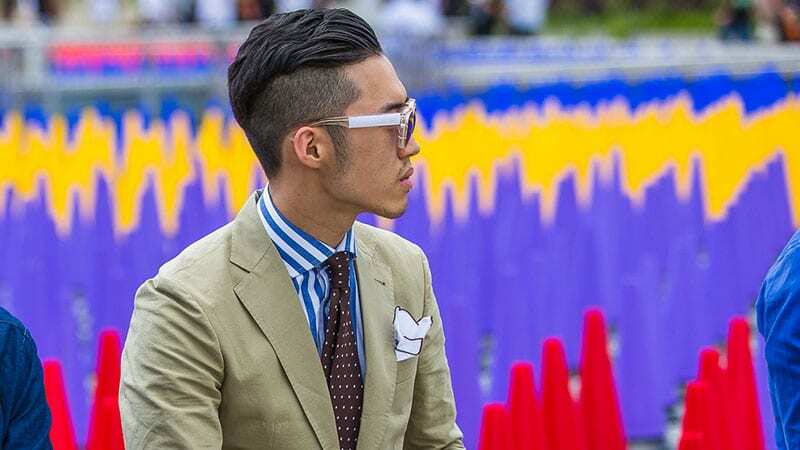 This classic and short mohawk is clean and sharp. At the back, it tapers shorter to eventually blend in with the rest of the side and back strands. Long-haired gents can also rock a mohawk. The extra length on top only serves to add a cool, rocker vibe to the style. 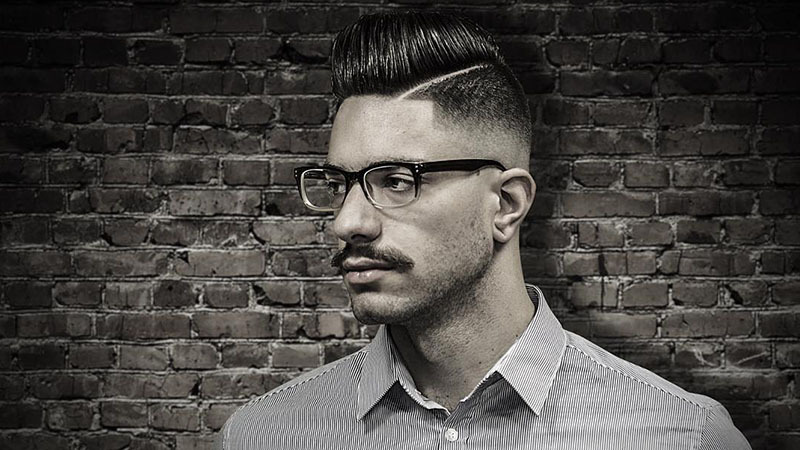 This low fade mohawk features shaved sides that gradually transition in length. Although the look is quite different to a traditional mohawk, its essence and feel are the same. 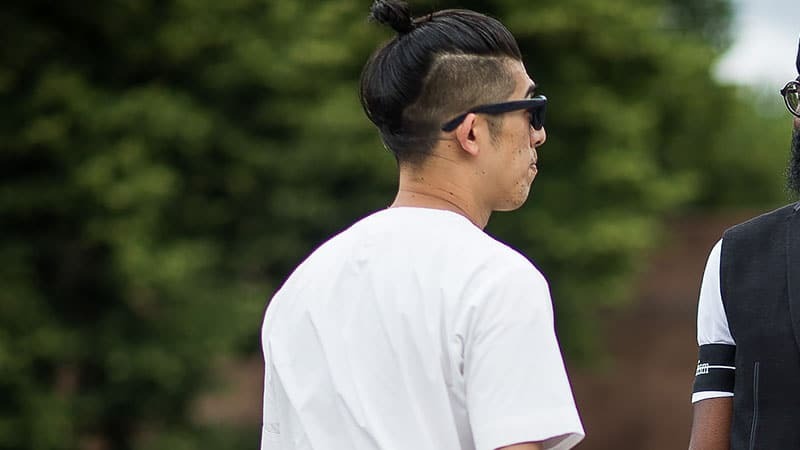 Think you can’t rock a man bun with a mohawk? Think again. 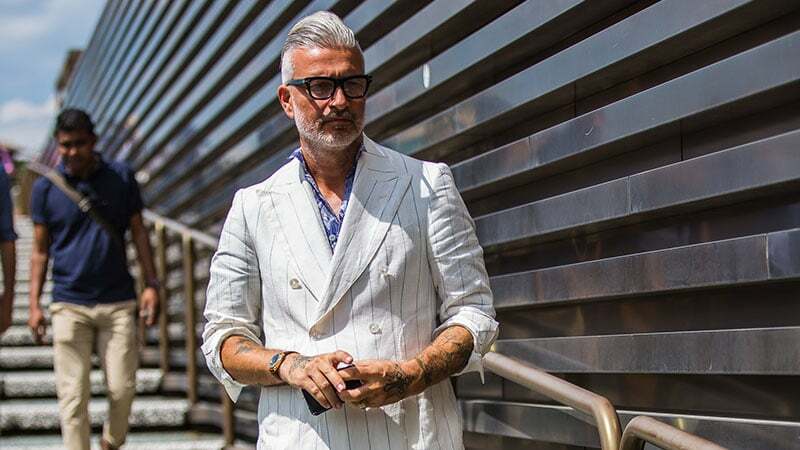 This gent proves that the look can work, as long as you have the confidence to pull it off. This modern mohawk is cleaner and more polished than those of the past. It also has more volume, giving it a fuller appearance. With sides cut right down to the skin, even the shortest of mohawks can have a large impact. 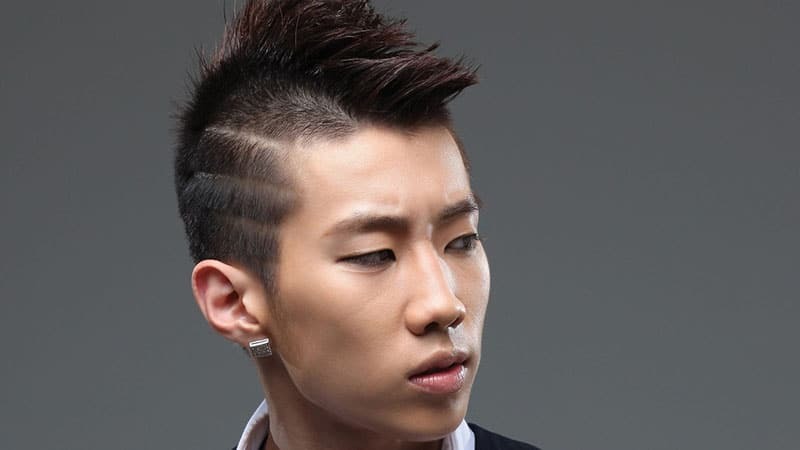 This buzzcut style is one such example and immediately draws eyes to its longer (but still short) middle strip of hair. 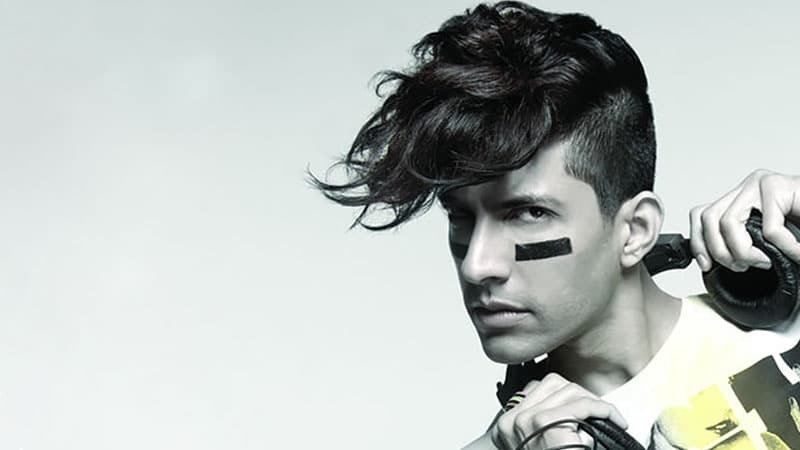 The curly mohawk is a fantastic new take on this classic trend. The light and bouncy texture of the curls creates a much softer and modern look. A short mohawk with faded sides is an excellent way to test out the mohawk style without drastically changing the length of your hair. 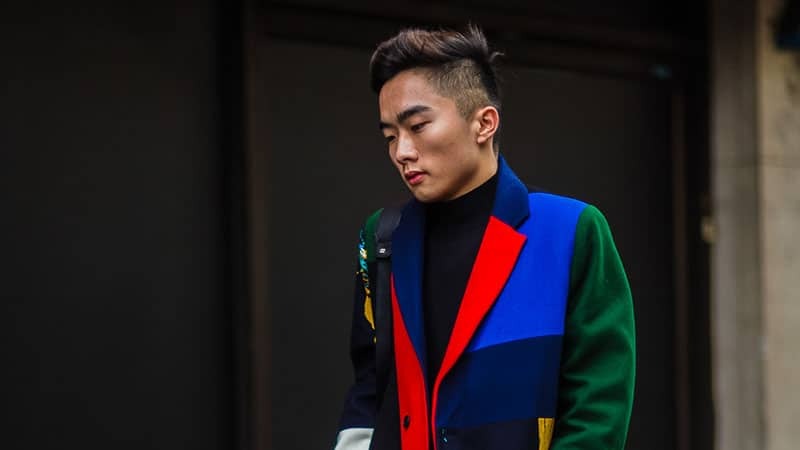 If, after shaving your hair into a mohawk, you’re still craving more edge, try adding some unique stripes to the sides. The high volume of an afro combined with short, shaved sides creates an impactful and eye-catching, mohawk. 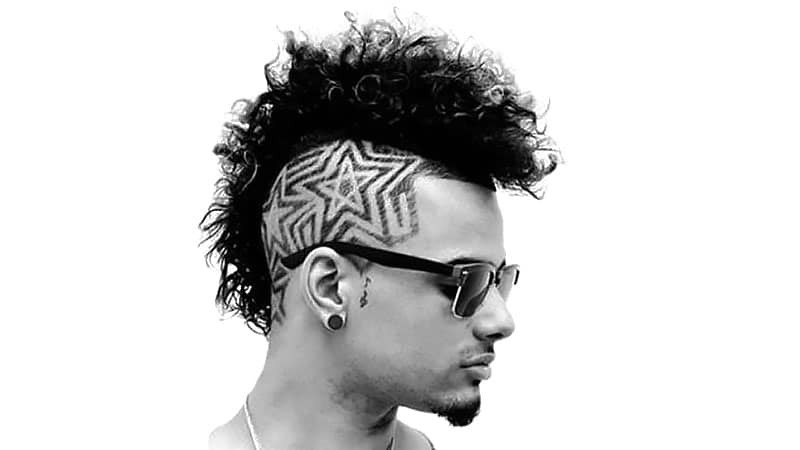 This particular afro mohawk also includes a unique star design to add further boldness to the look. 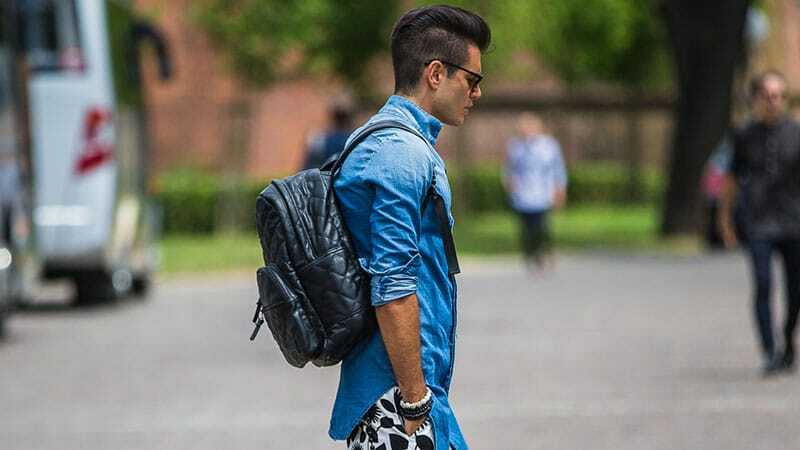 This cool look combines two trends, a mohawk and a pompadour, into one. 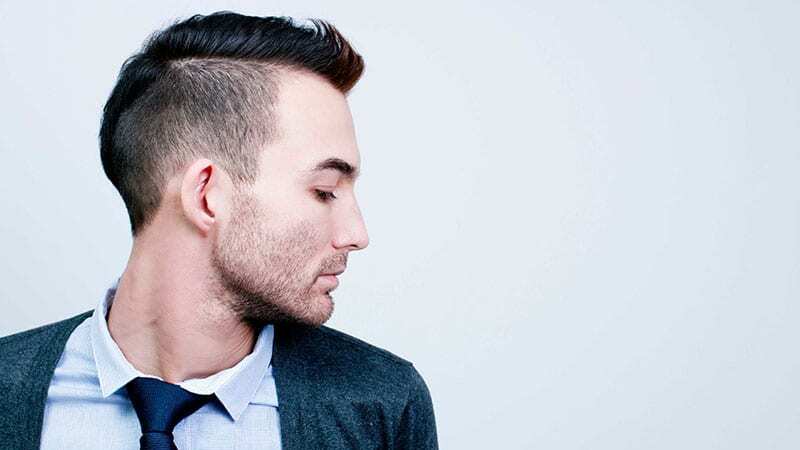 This contemporary mohawk is perfect for gents who are more reserved with their haircuts. 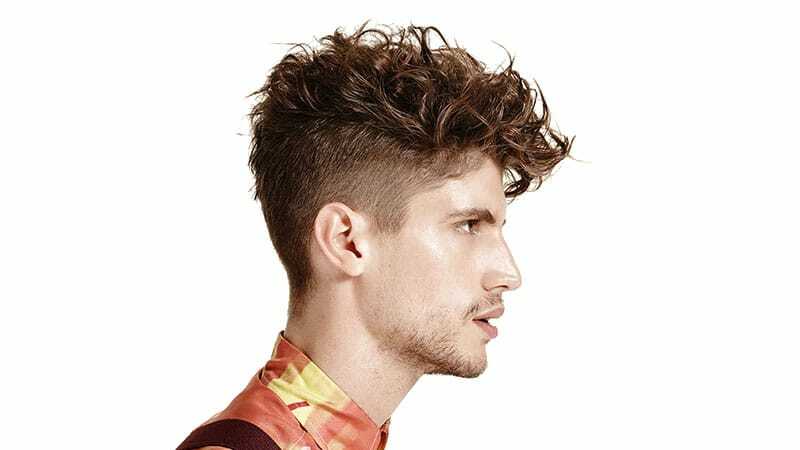 Although its spiked top and shaved sides create an edge, its short length and light texture keep the overall style polished and modern. 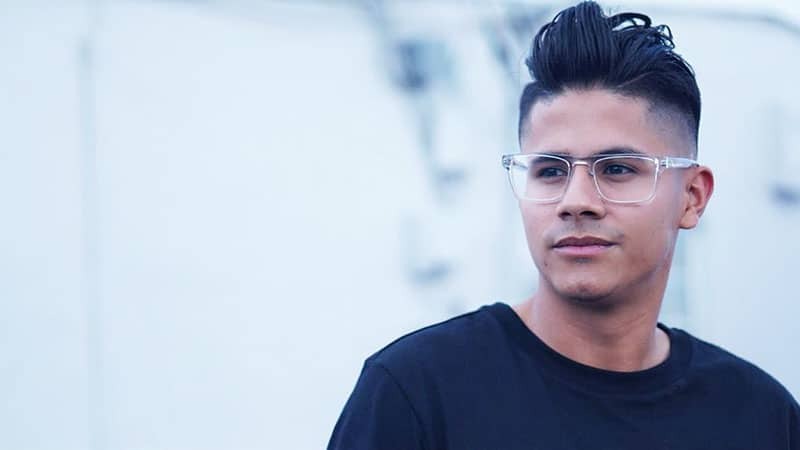 By using pomade and a comb, this gent was able to create a sleek and sophisticated mohawk hairstyle. 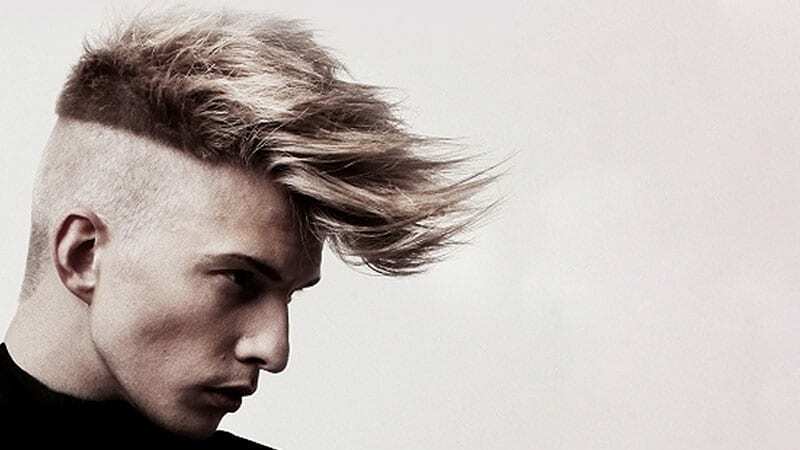 Instead of spiking your mohawk, try slicking it back for a stylish twist on the trend. 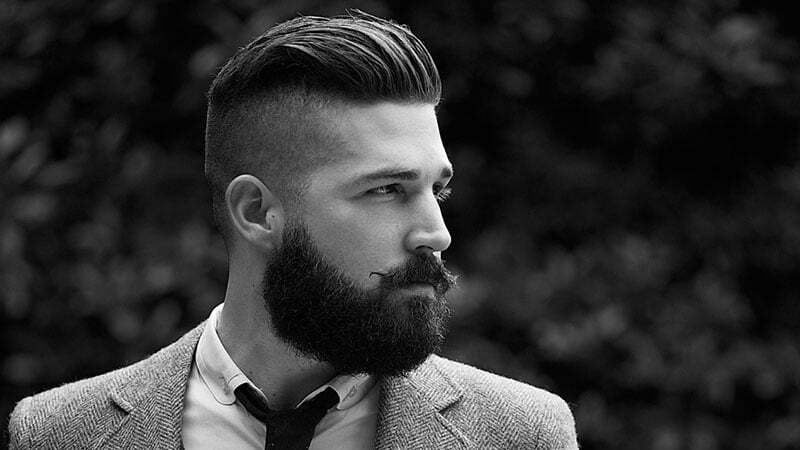 A tapered mohawk can also work well for styles with a slightly longer back and sides. While pomades and gels can be used to give your mohawk the height you desire, they can also be used to add a stylish dose of texture. 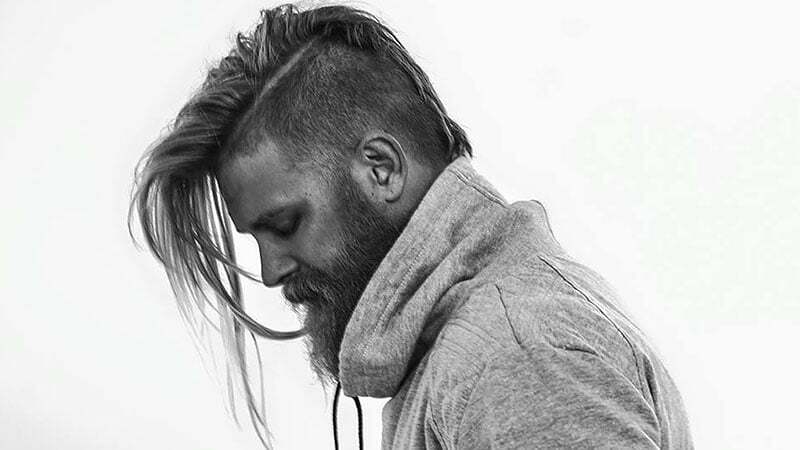 This thick, full and wavy mohawk is the perfect hairstyle to try. The juxtaposition of dramatically different lengths makes this broad and long mohawk even more daring and bold than usual. You can wear a wide mohawk with a faded undercut in many modern ways. 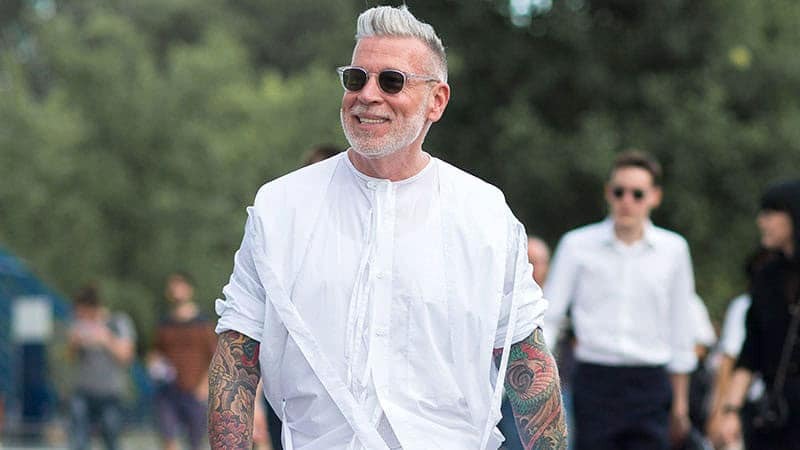 By widening your mohawk out to your temples, your look will become more contemporary and less punk. Blow-dry hair while directing and pulling strands upward to achieve lift at the roots. Take a small dollop of wax or pomade into the palms of your hands and rub together. Use hands to work the product through your hair, directing strands up and inwards.